Divorce can be emotionally painful and financially costly, but it doesn’t have to be that way. Some lawyers contribute to a couple’s problems by fueling conflict and escalating arguments over child placement, support payments and property division. In Collaborative Divorce, the lawyers share a commitment with their clients to work together in an out-of- court settlement process to help couples reach agreements about custody, placement, and financial issues in their divorce in a way that meets the needs of all family members. Veteran family lawyers and mental health professional can tell you that traditional positional divorce negotiations and trials rarely solve issues and often perpetuate problems. Instead of positional negotiation and posturing for adversarial court proceedings, Collaborative lawyers assist in providing legal options and helping clients create outcomes in a respectful problem-solving process where the parties and lawyers each agree in writing that they will not go to court to settle their issues, but instead resolve them privately and peacefully. At Hansen and Hildebrand we have trained and experienced Collaborative lawyers who work together with clients and mental health professionals and financial neutrals to develop a comprehensive settlement plan to maximize a couple’s resources and meet each client’s interests and needs. Learn more about the Collaborative Process and how it differs from other settlement and resolution options, below or contact us for more information. Collaboration works because the parties and professionals agree to settle issues and differences privately and respectfully. Most significantly, the parties agree the lawyers must both withdraw if the parties cannot reach settlement. This creates an incentive for everyone to focus on problem-solving to reach agreements instead of posturing divergent positions and negotiating with rigid positions and ultimatums. Collaborative family lawyers, like lawyers in transactional negotiations, act as legal advisors and problem solvers rather than as positional advocates. Experiences in many places show that divorces resolved collaboratively reduce financial and emotional costs, and prevent post-judgment returns to court when issues arise as frequently occurs in high conflict divorces. 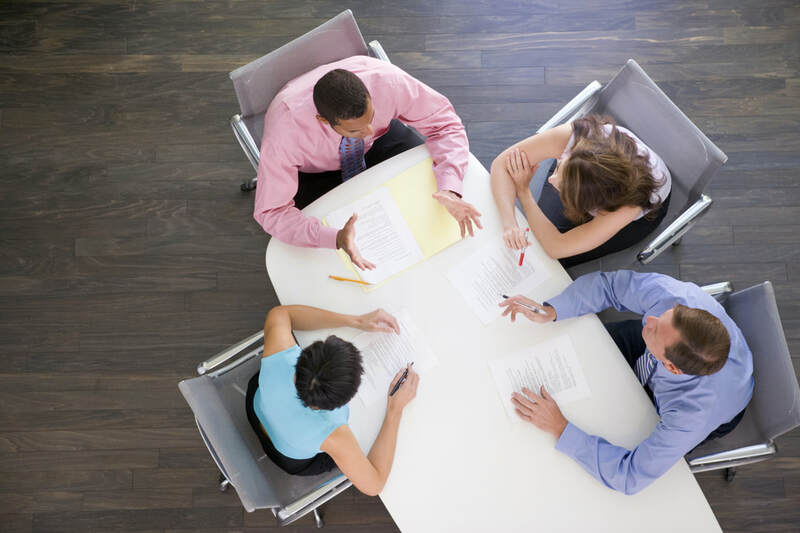 In a Collaborative Process, the parties meet with their collaborative divorce lawyers in a series of four-way settlement conferences and negotiations take place with the clients present. Each party has the advice of a divorce lawyer who is specially trained in the practice of Collaborative Law as well as experienced in the practice of family law. The parties work at their own pace and may agree to use the services of other professionals, including mental health professionals such as child specialists, coaches and financial advisors. These professionals are jointly chosen to provide input and assure informed decision-making rather than taking sides. The clients are involved at every step and retain control over the final decisions. More information about Collaborative Divorce is available by contacting any one of our collaboratively trained and experienced lawyers. To view an informative video about collaborative divorce featuring Susan Hansen, please watch: Collaborative Divorce vs Traditional Approach. The video contains a wealth of valuable information about collaborative divorce. The video was produced by the Collaborative Family Law Council of Wisconsin, Inc., a state-wide professional organization of divorce professionals including lawyers, mental health professionals and financial specialists.